Apple analyst Ming-Chi Quo from KGI Securities has released what he believes will be Apple's roadmap for the iPad in 2017. While not directly affiliated with Apple, Ming-Chi Quo works with Apple's supply chain to gather information about the tech giant's future plans. He has a track record of being one of the most reliable sources for Apple rumors. His report this week was issued to investors, but a copy was obtained by Apple Insider. It describes three new iPads to be released around Q2 2017. Apple currently has a 12.9-inch iPad Pro on the market which will likely get a beefed up version of the A10 chip, found in the iPhone 7, that Quo is calling the A10X. The smaller 9.7-inch model is expected to be released at a lower price and feature an altered version of the same A9 chip found in the iPhone 6s. The most notable inclusion in the report is an expected new product somewhere in the middle. This Goldilocks iPad will be around 10 inches and feature an ultra narrow bezel. Quo believes it will also feature the A10X chip. The size and specs are not certain yet, but it looks like Apple is counting on this model to help boost sales. As Apple celebrates the 10th anniversary of the iPhone, iPad shipments have dropped sharply over the last year. 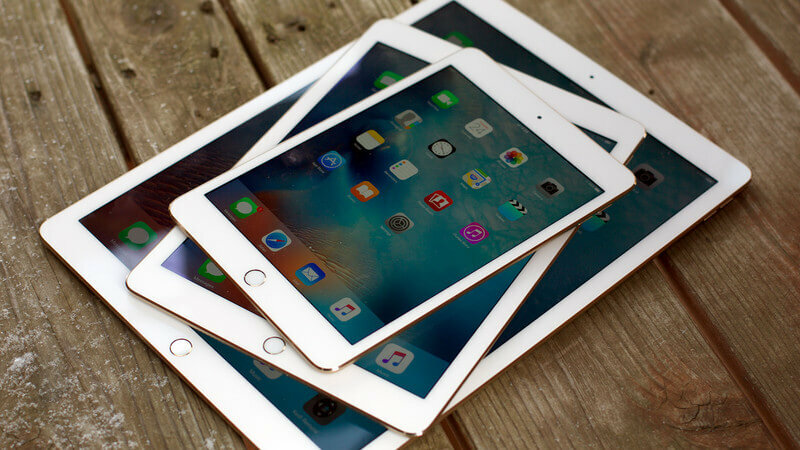 There was no talk of the iPad mini, but Ming-Chi Quo has predicted the smaller iPad models will account for most of Apple's sales this year.